For someone who grew up in New York, attended college outside of Washington, D.C. and is currently living in Los Angeles, the picturesque quality of Montana is an awe-inspired and unique one. During a trip to “Big Sky Country,” I was illuminated by the breath-taking and peaceful terrain of colorful open fields and magnificent mountains. It was as if one were attending an art exhibit presented by nature; unveiling, for one’s pleasure, canvas’ of the most exquisite paints and brush strokes. Delving into the history of this special corner of our country, I was fascinated to learn Lewis and Clark spent a significant time in Montana, during their infamous 1804 expedition to the west. Upon reading some literature on this subject, visual imagery transformed into musical colors in a poetic fashion, and I immediately commenced writing this symphonic tone poem. The work is conceived as a narrative from the point of view of a participant in Lewis and Clark’s ‘Corps of Discovery’ – the apprehension and fear of exploring unchartered land, to the excitement of discovery, to moments of serenity under the expansive celestial night sky. After the trials and tribulations of travel, our explorer reaches a juncture of reflection and prayer whilst enthralled by an expansive landscape of green fields, a kaleidoscope of blooming flowers, and majestic snow-capped mountains. An American Expedition fuses 19th century tonal, folk-like American musical grammar with polytonality and contemporary dissonances. 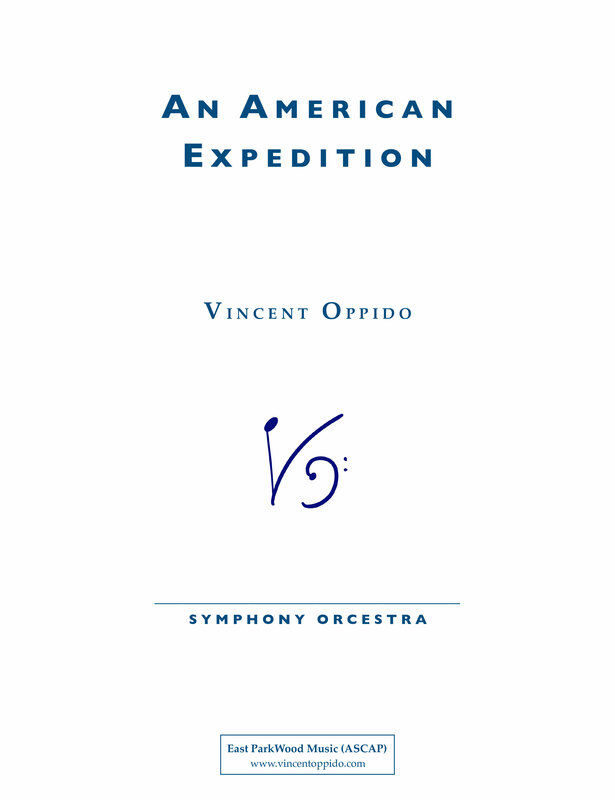 The result being, I hope, a contemporary musical journey of this important time in American exploration.